Introducing GOT– the team building Mercari’s global network. Mercari is currently working hard to achieve its mission to “Create value in a global marketplace where anyone can buy & sell” across its three locations in Japan, the US and the UK. This time around, we’ll be interviewing Hids and Steve, two members of the Global Operations Team (GOT) whose job it is to bridge the communication gap between these locations. The GOT Journey: from “Mercari’s translation team” to a team comprehensively supporting the company’s global expansion. ―Originally the team wasn’t called GOT, right? Hids：When I first joined the company, there were no other employees from overseas, and there was no name for the job of bridging the communication divide between Japan and the US. As the team grew, we became known as the PDC (Product Development Coordinator) team and started out handling jobs like localization of the app, translation, and interpretation. As the number of international members gradually increased, the scope of our activities also grew to include global hiring, language teaching programs, etc, so in response to this, we changed our name to GOT (Global Operations Team) in June of 2017. Born and raised in the UK, Hids left for Japan in 2009 after finishing his degree at the University of Leeds. He then spent around 2 years working in international business before joining NHN JAPAN (now known as LINE), where he worked on localization. After this, Hids started his own translation company and managed a team of freelance translators. He joined Mercari in June of 2014 and currently leads GOT as the project owner. ―Why did both of you become interested in Mercari? Hids：In my last corporate job, I was working on localization and business operations, but I decided that I wanted to do something myself, so I started a translation company. I had always been interested in games and technology, so I often went to events like the Tokyo Game Show for business. But after a while working alone, I started wanting to work with a team again. At the time, Mercari was a small startup with only about 20 product members, but the company was aiming to expand globally from the beginning, so I was sure that there was some way for me to contribute, which is what led me to join. 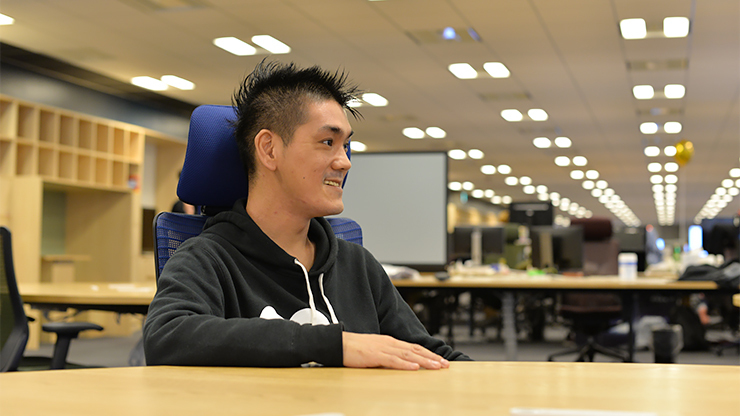 Steve：I had been studying programming on my own as a hobby, and I was looking for a job in a tech company where I could make use of the translation/interpretation skills that I had gained in Kawasaki City. So when I saw the GOT job listing on LinkedIn I was obviously interested and applied that same day. Later on, I actually came through the office for an interview, but when they showed me around afterwards I was pretty shocked to see all of the staff wearing t-shirts. I had been working in a local government office for the past two years so, needless to say, this was a huge draw for me. Originally from the United States. Steve studied abroad at the International Christian University in Tokyo after becoming interested in Japan during his university years. Following graduation, he returned to Japan with the JET program to work as a Coordinator for International Relations in Kawasaki City, where he was in charge of translation, interpretation, and other internationalization efforts happening in the city. He joined Mercari in August of 2017 and is currently focused on translation and global hiring. ―What are you doing now at Mercari? Steve：I mainly handle translation and interpretation, but I’m working a lot on global hiring-related efforts lately as well. Earlier this month I travelled to India for the first time on a business trip, and I’m going back again in December. I’m also doing competitor research on overseas apps. Hids：My current focus is on improving the Mercari US help center. I’m gathering information about what issues our users face when using the service and suggesting improvements that are then reflected in new updates to the app. 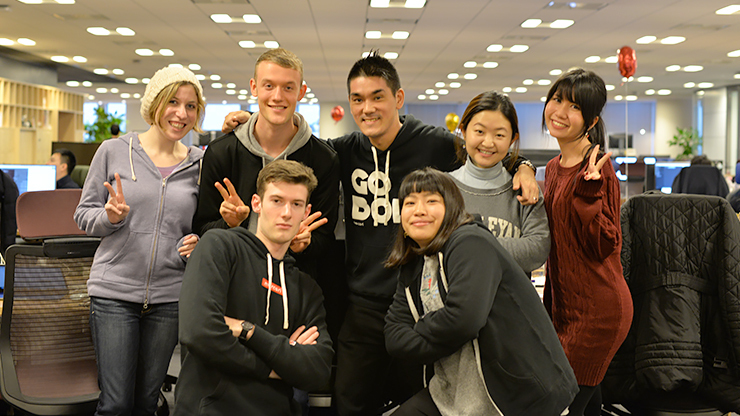 More generally speaking, GOT supports communication between Mercari offices and also supports those employees in the Tokyo office who only speak English while running projects to improve the English ability of our Japanese employees. We obviously help out with this sort of linguistic support, but as a team we are also working to help bridge the cultural divide. For example, we hold intercultural communication seminars in the company on a recurring basis in order to help build a more global workplace and organization. ―Why did you decide to work on bridging cultural differences as well? Hids：When employees from a foreign background come to work in Japan, they generally face one of two problems: the first is that they are tremendously experienced in their field, but are unable to speak Japanese. The other is that they can speak Japanese, but aren’t able to get used to Japanese culture/the way Japanese people work. For this reason, we reached the decision that–in order to create an environment where the top talent from around the world can work to the best of their ability–cultural support is also essential. Steve：I definitely get that impression from the people who come to our Global Meetups (hiring events aimed at foreigners/those with international experience). Mercari has the potential to solve these sort of issues and is already taking proactive steps to address them, so we especially want to welcome anyone who has experienced these sort of difficulties working in Japan. Hids just mentioned that a lot of foreigners can’t get used to Japanese culture, but one great example of that is the high context/indirect style of communication that Japanese people tend to use. There are a lot of foreigners who struggle with this aspect of Japanese culture, but here at GOT we are always thinking of how we can help bridge this cultural gap. Hids：Actually, I’ve realized that the need for translation and interpretation has been decreasing as of late. One of the reasons for this is that some of the Japanese employees who have been learning English through our program no longer need our interpretation support, and this is pretty concrete evidence that our efforts have been effective. ―What’s the atmosphere of the GOT team like? Hids：We currently have 9 members, including interns. The GOT members come from a variety of different backgrounds, but on a country level, we come from the UK, US, Australia, Singapore and Japan. Our team atmosphere is known around Mercari as being particularly energetic/fun. We use whatever language is easiest when communicating with each other, keeping in mind the language the other person feels most comfortable communicating in. 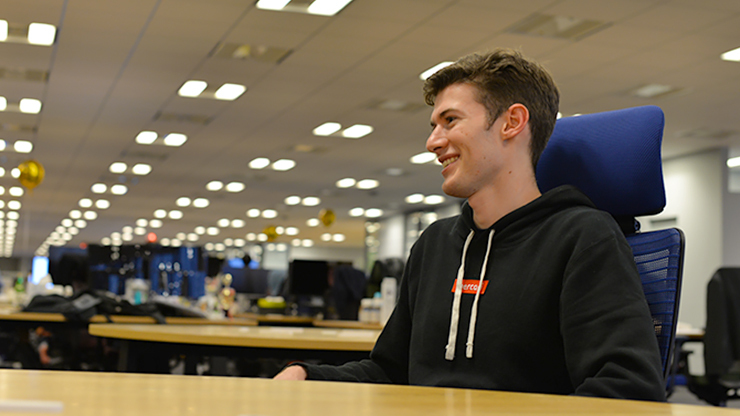 The GOT desks are located right in the middle of the product team, so you really get the impression that we are at the core of the Mercari product. ―What does the future look like? Hids：We have two primary goals at the moment. The first of these is organizational–namely, to reach a ratio of 30% international employees here in the Tokyo office. Obviously the number itself is an important goal for us, but it goes without saying that we are also working to create an open environment where members from different backgrounds can work together effectively. Our second goal is to contribute further to product growth. I think that GOT should take the lead in sharing the knowledge that Mercari has gained in Japan with our overseas branches. For example, the sort of measures that our Japanese customer support provides after natural disasters such as earthquakes or typhoons– this sort of information could be very useful for the US and UK offices as well. In the future, we want to compress this knowledge into a packaged medium that will make it easier for us to expand into new regions. Steve：In terms of scalability, I think it’s difficult to try and “go global” as a company while being reliant solely on Japanese. For this reason, we’re working hard to improve our English learning support for our Japanese employees, with the ultimate aim of our employees reaching a level where interpretation is no longer required. On the other hand, there are many great aspects about Japan and the Japanese style of working, and so we will continue to offer Japanese learning support for our international members–it’s all about finding that right balance. ―What do you look for in a GOT applicant? Steve：People who aren’t afraid to share their opinions and who point out mistakes when they see them. I also look for people who can offer unique insight and who are ready to tackle a whole range of challenges beyond just translation/interpretation. Hids：They don’t need to have an IT background, but it is important to have a basic level of IT knowledge. And of course, they’ve got to love Mercari and technology!